In case you somehow missed the furor, frantically produced gifsets on tumblr, or relentless advertising on The CW, Supernatural turned 200 last night, with the airing of its most recent episode. 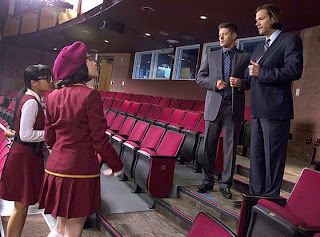 The episode, "Fan Fiction", was yet another of their "meta" episodes, the ones where Sam and Dean Winchester come face to face with fans of...Sam and Dean Winchester. The episodes, which go as far back as the fourth season, veer between hilarious self-satire and alarming visions of who they think their fanbase is. So as a viewer I was a little nervous. Add that to the fact that this episode was reported to be a musical, and I wasn't really looking forward to it. Which just goes to show that all my years of pop culture journalism must be making me cynical, because this episode was actually pretty great. And not just because the music was surprisingly catchy, the monster of the week wasn't half bad, and the characters were fun, but because for once it actually felt like a love letter to the fans. The previous meta episodes have always felt a touch condescending, a touch angry, a touch miffed, but this one actually felt like they were starting to get it. Maybe. Hopefully. And in case you couldn't guess, SPOILERS for last night's episode. 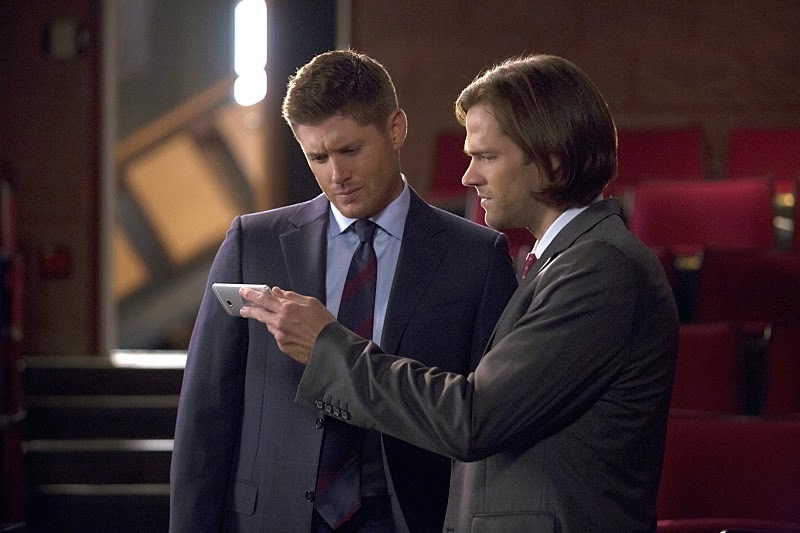 So the episode starts out with Sam and Dean looking for a case. 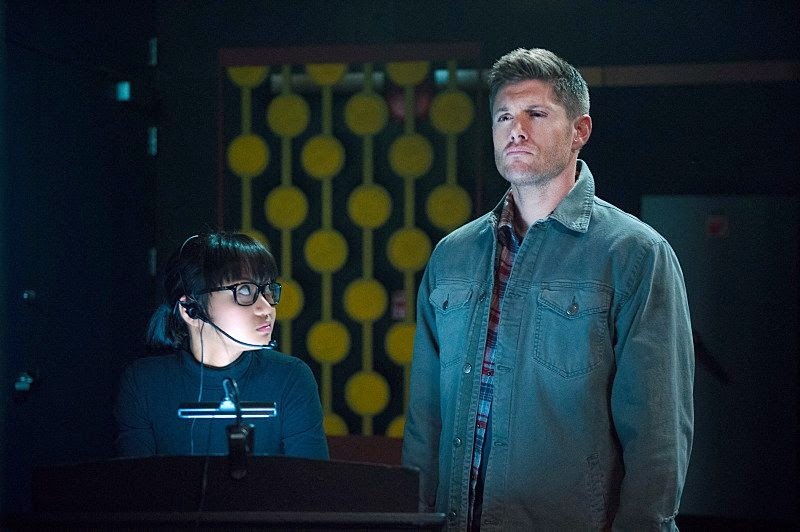 Dean has been recently de-demoned and is totally back to normal (much to my displeasure because that leaves us without a plot for the rest of the season), and he and Sam are keeping their heads down and going about business as usual. Part of the business? Investigating the mysterious disappearance of a teacher at a local all girls private school: St. Alphonso's Academy. It's not until they get to the school that stuff starts to get weird. Weird as in the teacher who disappeared was the drama teacher. 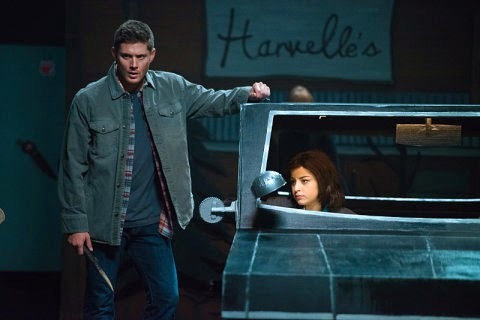 And the drama club is currently putting on an original production of Supernatural: The Musical, a show based on the Carver Edlund books that are of course based on Sam and Dean's life. Like I said, meta. The boys are utterly horrified by the musical. Partly because it's a little alarming for them to see their tragic backstory presented in a peppy opening number with shockingly low production values, and partly because they can't believe this is happening. How is this happening? Is it a coincidence? Because they can't find any sign of something supernatural actually happening. The teacher was an alcoholic with a crumbling personal life. Maybe she just passed out in a ditch. Except she totally didn't. After Sam and Dean do their initial investigation and decide there's nothing there, another girl disappears and a pattern emerges. Both the teacher and the student who disappeared threatened to get the production shut down. Both of them were taken by a weird scarecrow with vines for hands. And both of them left purple flowers in their wakes. At this point the brothers can't actually hide the truth from the girls running the show anymore. 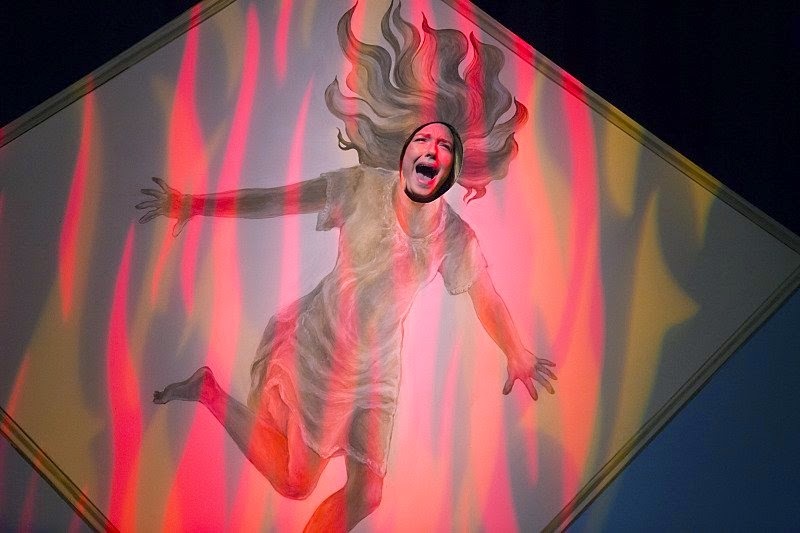 Marie (Katie Sarife), who wrote and directed the show, is positive she saw something supernatural dragging off her friend, while Maeve (Joy Regullano) is just concerned with making sure the show goes on. Well, actually, they're both concerned with making sure the show goes on. Which is how we figure out what the monster is. I'm not going to spoil that reveal, or the rest of the episode, but suffice to say that things get hairy. The real meat of the episode, though, isn't the monster battle. It's pretty much never the monster battle. Instead, the interesting stuff comes in the conversations that Sam and more especially Dean have with Marie about her work. 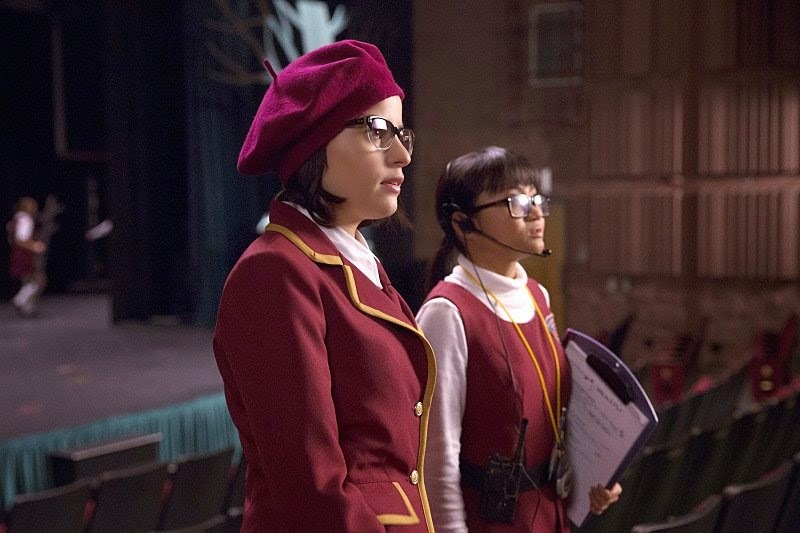 See, the episode is called "Fan Fiction", and it's about a teenage girl who created a musical production of her favorite book series. As Marie states many times, however, it's not a literal interpretation, it's a "transformative work." In other words, she kept the stuff she liked from the original, and tossed what she didn't. In so doing she created a work that really isn't particularly true to Sam and Dean's life, but that resonates with her emotions. All of that seems pretty on target. Supernatural is pretty well known in fandom for having a fanfiction community that gleefully ignores canon in favor of fanon, that stresses the transformation part of transformative works, and that frequently tells stories about our favorite characters getting it on already. And previously the writers of the show have kind of dissed us for this. They've created characters like Becky Rosen (Emily Perkins), a fanfic writer so obsessed with Sam and Dean and their hotness that she's willing to magically roofie Sam into marrying her. Or they've presented episodes about fan conventions where almost all of the fans are white guys in their twenties. They've made it clear that they think their fans are really weird, very passionate, but more than a little crazy. But up until this point the writers have never really acknowledged who their audience is or why they watch the show. My friend Kyla Gorman put it better, but the real reason we as fans like Supernatural isn't because the plot is all that good. It really isn't. It's because we emotionally connect with the characters and their feelings. We like all that manpain. We like it when they cry. We like seeing a show about two physically fit, attractive men, crying and hugging and talking about their feelings. Yes, it's great that sometimes they kill monsters too, but let me be perfectly clear: I do not watch this show for the monsters. I watch it for the feelings. For the longest time it's felt like the writers or creators or network executives were in denial about this. Like they had some weird idea that their fans were mostly white guys in their twenties who wanted to watch monsters die or something. In fact that is patently untrue. I know very few guys who watch Supernatural, and the ones that do by and large do so alongside a female friend, lover, or family member. Face it. It's a chick show. And that's fine. I like that about it. But even more, I like that the writers are finally acknowledging it. This episode they finally showed the fanbase far more accurately as they have before: as passionate, intense, and enthusiastic, as overwhelmingly young and female, and as capable of creating fanworks almost as good as the original. Because, as it turns out, the musical? Not half bad. It's a little cheesy, sure, but the actual songs are surprisingly catchy, the girls are all great singers, and ending has the audience giving them all a standing ovation. In other words, while Dean and Sam don't really ever get the musical, they can appreciate it. In fact, that's a conversation that actually happens between Marie and Dean. Dean confesses that he really doesn't understand her view of the story, but he admits that it was good to see it. It was nice to know her perspective. And while he might never really understand, he respects her right to love the story in her own way. It's a part of her, and she is allowed some ownership of it. That seems like a very small admission, and in some ways it is, but it has been a hard fought battle to get here. To get the writers of the show to admit that while their fans might like different parts of the show than they do, while the fans might take creative licenses they don't appreciate, they are allowed to love the show in different ways. Transformative works don't have to be to your taste to be valuable. And, more to the point, stories really do belong to everyone. Yes, there are copyright laws, but when we come down to the emotional reality of the thing, stories belong to us all. When you love something it becomes a part of you, and it definitely comes out in your writing, your art, your music, your academic papers. The things we love, the stories we love, are part of who we are. What's so wrong with that? The act of creating a transformative work, or a piece of art or music or fiction that uses someone else's original idea to create your own story, is a very valuable part of self-expression. It's a form of recontextualizing the world and your place in it. It's a way of showing what you think is worth preserving in a work, and then also showing what you think is worth changing. I love fanfiction and fanart and fandom. I always have. It's been a huge part of my life for the past fifteen years (holy crap I'm getting old). And while I don't always agree with another fan's interpretation of the source material, I rarely regret knowing how they feel about the work. I love that people love stories in such completely different ways. That's great. So it means a lot to me when I see something like this that clearly shows that someone else thinks it's great too. Also also, and this is a total side note, this episode gave a callback to one of the biggest plotholes ever in the show: What happened to Adam? As in, the third Winchester brother who sacrificed himself to be locked into the Cage with Lucifer (while technically a vessel for the archangel Michael). Sam was rescued from the Cage at the end of season five, but Adam wasn't. He's been in there for five years. Five. Years. So it was pretty awesome when the show had a girl dressed like Adam walk onstage. Dean immediately asked, "Who's that?" And when we got the answer, we just pretty much peed laughing. Thank you show, for calling back to Adam being stuck in the Pit all this time. Feel free to, you know, address that sometime. And while he might never really understand, he respects her right to love the story in her own way. Hints of the first season Dean. I love that people love stories in such completely different ways. That's great. True. (Though I'll admit Wincest stuff grosses me out). Yeah, I don't get Wincest either. But I appreciate the effort of live and let live. I thought this episode was hilarious--I havent watched any other episodes from this season because I just... I do not care, which is hard to admit, but still true. Which is what I wanted to say: at one point, this really was a show about monsters. Maybe it was still watched by mostly women, but I dont think so; the 2nd season was the most requested DVD set by soldiers in the Iraq war at one point (and there are lots of lady soldiers, granted, but more male). I would guess it was more a 50/50 split. When the genre of the show completely changed after Kripke left, the show began to gain more traction and a lot more (female) fans, which is totally okay, of course. But originally, it was definitely a horror/dark fantasy with family drama, as opposed to the more fantasy/drama show it is now. I think the sense of ownership over someone elses work along with the really passionate and prolific amount of fanfiction devoted to the Winchesters might be part of the dissonance in the past, particularly when this shift in genre was taking place; the fanfic Ive seen, which admittedly isnt a whole lot, is definitely more on the fantasy/drama angle (rather than the original bent) and that would be weird to deal with as a writer. Just saying. Not even getting in to the actual nuts and bolts disagreements over plot/pairings/what have you. It is harder for me, being the particular kind of weirdo I am, to care as much about the drama of the latter 5 seasons because, being the particular weirdo I am, I cared a lot more about the brothers and their broments and their journey when they were actually fighting monsters. I am sure the subset like me that has drifted away feels similarly. The most touching moments in the first 5 seasons were written by female writers who tapped in to the desperation and melancholy created by horror to frame complex emotional exchanges. That kind of gut-wrenching soul adjustment just does not seem to happen in fantasy (if you are me). It's interesting, because I'm in this more for the feels than for the fanservice too, and I agree that the first five seasons are exponentially better. 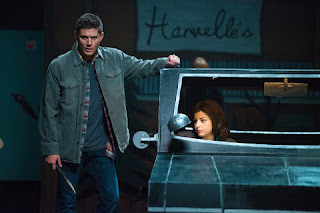 And as far as the fandom goes, though, I've found that in the Supernatural fandom especially, transformative works come from what people feel they need fulfilled in the story that is not fulfilled in canon - as in, in the first five seasons or so the fandom was most interested in the relationship between the brothers. Which was interesting, personally. It's been sad but interesting to watch the fandom collapse in the past five seasons. Because there's so much less to work with, there's a lot less fandom. I was going to comment way longer but it turned into a rant and I honestly don't care enough anymore for this, I'm then just going to say that at least I agree wholeheartedly with Jorja Tabu.